What do you do when you achieve a major milestone consisting of millions of pages of very precise work that has spanned ten plus years? After reaching the 3,000 batch mark, Pentecom elected to hold a surprise pancake breakfast for employees this morning in our office, complete with six griddles and just as many management cooks! Employees were treated to homemade pancakes, syrup, sausage, and juice for a great start to the work day and given a chance to socialize and chat with other workers. 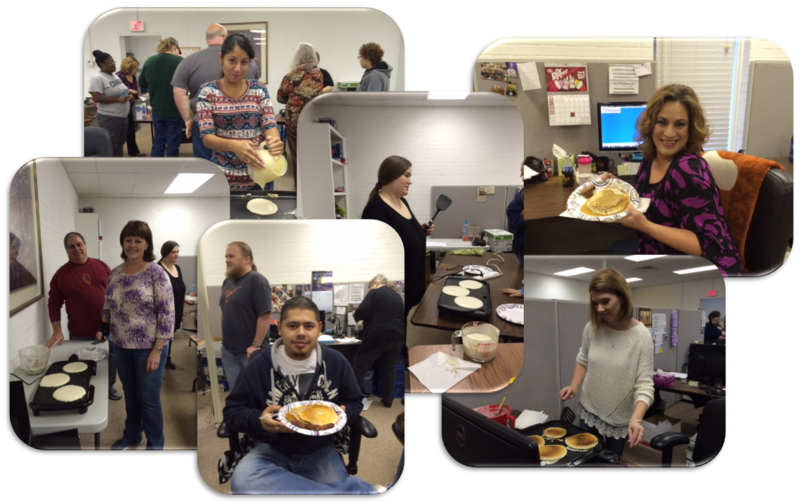 This pancake breakfast was just one of several rewards Pentecom treats its employees to during the year for turning out perfect documents. Pentecom is a growing company in Palestine where good work is celebrated and good employees are rewarded for their efforts. A well deserved reward for reaching an impressive milestone. Congratulations and job well done for all on the team!!! !